Pokemon Mania is still dancing in the air as Pokemon Go gives Cebuanos no space for rest in catching them all! When you're living in the historic city of Lapu-Lapu, "Oponganons" have been asking, "Where can we find more Pokémons?!" No need to worry, more than 20 Pokémons are currently lurking around the 30-hectare The Mactan Newtown. Prepare to catch Caterpie, Weedle, Pikachu, Rattata, Voltorb, Electrode, Pidgey, Spearrow, Nidoran, Zubat, Paras, Meowth, Poliwag, Magikarp, Eevee, Exeggcute, and many more! The Mactan Newtown has one Poké Gym at the Dolphin Fountain, and is near four Poké Stops namely the Mactan Brgy. Hall, Magellan's Battleship Wood Sculpture, Fr. Jules Chevaller Statue and Sto Nino de Cebu Mactan. 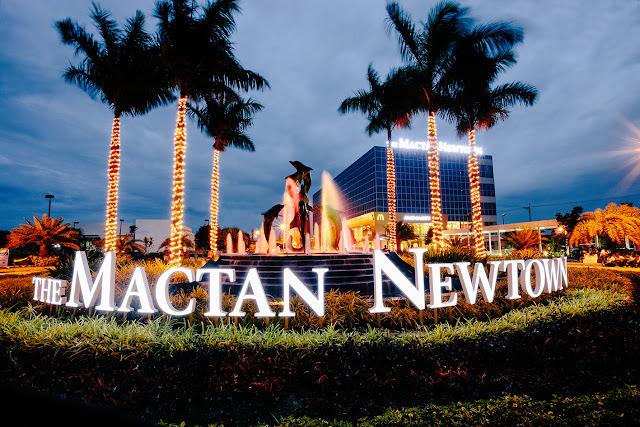 What’s more, The Mactan Newtown is very pedestrian-friendly so you don’t have to worry about your safety while you’re busy trying to catch as many Pokémons as you can. While there, you can even grab a quick bite at The Mactan Alfresco, a hawker-style establishment featuring various culinary dishes. You can also check out the newly-built Lechon Pit, where the famous Lechon Cebu is roasted right before your very eyes, then maybe satisfy your Lechon cravings while at it. The Dolphin Fountain area at the entrance of The Mactan Newtown in Lapu-Lapu City is a major PokeStop in Mactan Island.